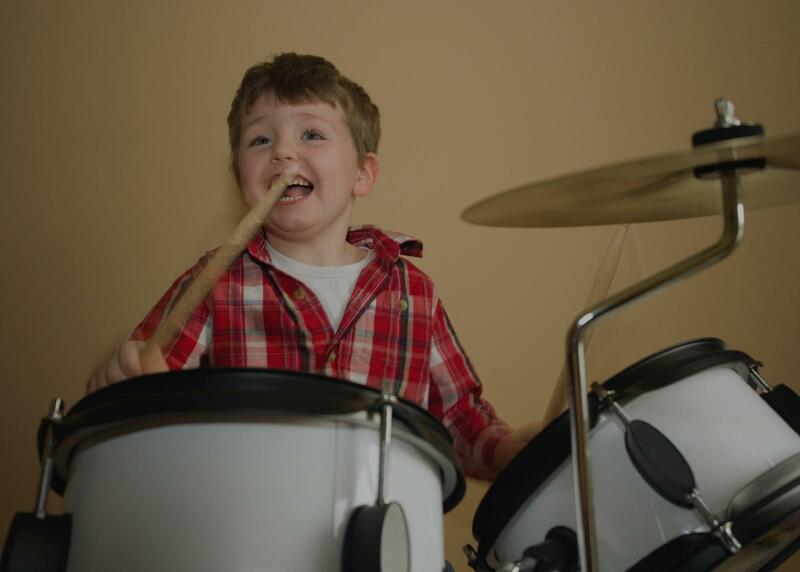 I have had a passion for drums since the age of 4. Music has been an important part of my life as far back as I can remember! I am currently accepting new drum students. I teach all my students rudimental technique with snare drum, reading skills through a number of drum books, ear technique with music and mixing in many of the techniques that I personally found useful to improving my own skills. I have learned a great deal from playing for many years with my own bands. I have worked in a number of local recording studio with my own bands and with other musicians. I have worked with over 500 students through private lessons over the years. Learn to play the drums quickly!!!! ***IMPORTANT NOTE, PLEASE READ: I am located in the metropolitan Detroit area. But, I am available for online (remote) lessons; with a very good online set up (tripods, cameras, etc). I am also available at my teaching space, and have two great drum sets, set up side by side; one for the student, and one for the instructor. I am also willing to commute to the student, within a certain radius, with a nominal fee (for gas and commute time). Thank you for your time and interest. I have 25 years of experience as a working musician, combining: Private drum instruction, freelance studio work, and collaboration with musicians and bandmates in both a live and studio setting. h many great opportunities, most notably supporting national acts, such as: The Headhunters, Melvin Seals, Mofro and Strange Folk. And, I have recorded at excellent Metropolitan Detroit studios, including: Studio N Armada, Riff Lab Studios, Woodshed Studios, The Disc, and CVF Studios. More recently, I have participated in recording projects with a group called The Nova Junction, and with talented producers Dan Lesnick and Josh Ackerman. Along with teaching drum lessons, I am presently collaborating on original material, with a newly formed rock band, called Electric Temple. I am looking to add dedicated students to my current roster. I am very experienced with teaching students in a wide age range; as I have students that are 5 years of age, and students that are 60 plus years of age. I took private instruction, studying under two EXCELLENT drummers from the Detroit Metro area: Darryl Pierce and Donny Gruendler. Mr. Pierce (among many other accomplishments) currently tours internationally and nationally with a well known artist by the name of Bettye LaVette. This group has made frequent television appearances, including: David Letterman and Austin City Limits. Mr. Gruendler, is currently the Vice President of Musicians Institute in Los Angeles, and he has been featured in several Modern Drummer publications. I have learned a great deal through private instruction, and therefore teach from experience. I utilize and apply many of the techniques that I personally found useful; through my own personal instruction. The two full drum kits, set up in my teaching/rehearsal space, have proven to be an exceptional teaching tool. References from teachers, students, producers, and bandmates can be provided on request. Michael is a kind and patient drum teacher for my 13-year old son. He is always on time, he keeps the lessons fun, and my son always looks forward to his next lesson. I highly recommend Michael. Michael does a great job working with our son on the drums. He is professional and flexible. He gives great, constructive feedback. We highly recommend him as an instructor! Great instructor, very knowledgeable and friendly. I can teach ROCK drumming and Percussion techniques. As a Composer and Professional Musician (guitar/saxophone) I also have a comprehensive understanding of poly-rhythmic studies and phrasing. ally nice guy with the patience to teach the most beginner of novices and knowledgable enough to refine a seasoned drummer." thusiasm was contagious. My son has ADHD/anxiety and in the past had horrible instructors who were unwilling to understand or struggled working with him. Michael was patient and would find ways to keep him engaged and stress free. I would highly recommend him for anyone who wants to learn." d to motivate his students. I always have a good time during the drum lessons." teaching and playing in bands for many styles of music. I have recorded and played in a band with Mike as well and he has a unique playing style like no other drummer!" "Great player/ teacher. Mike is extremely knowledgeable with all sorts of genres. He is patient and very personable. 5 stars." ums. He teaches him all the terminology, gets him to develop his ability to play complex beats with different beats for each hand and the kick drum, and encourages him to incorporate his own style. My son looks forward to his lessons and has been making great progress." talk about music, so it helps to know something about different genres to follow the conversation. He has definitely put in a lot of years into drums, judging from my interaction with him. Don't be surprised if he suggests that you consider learning a 2nd instrument. I would highly recommend his instruction for a beginning drum student"
o, not make me do everything his way. If you are looking for a cool easygoing guy to teach you, give Michael a call." nd rhythm. I would definitely recommend Micheal to any beginner out there!"